In Pirke Avot (Ethics of the Fathers) we read that the world is sustained by three things: Torah, worship and service of God, and acts of loving-kindness. At Temple Beth El we understand the significant role that prayer and worship plays in the lives of our individual members and the Jewish people. With this in mind we try to offer something accessible and meaningful to people of all ages and knowledge levels. Friday Evening Services are lively and interactive, with a mixture of English and Hebrew prayers and readings. Shabbat Morning Services are more traditional, with less English and more Hebrew. We follow the Triennial cycle and are proud of the many members who chant Torah and Haftarah during services each week. Once a month on Shabbat we offer Junior Congregation services for our students in grades 3-6 and a Tot Shabbat program for children in PreK-2. These age appropriate services provide your child with a meaningful, fun, and educational Shabbat experience. Sunday Minyan Services provide a traditional mode of worship. 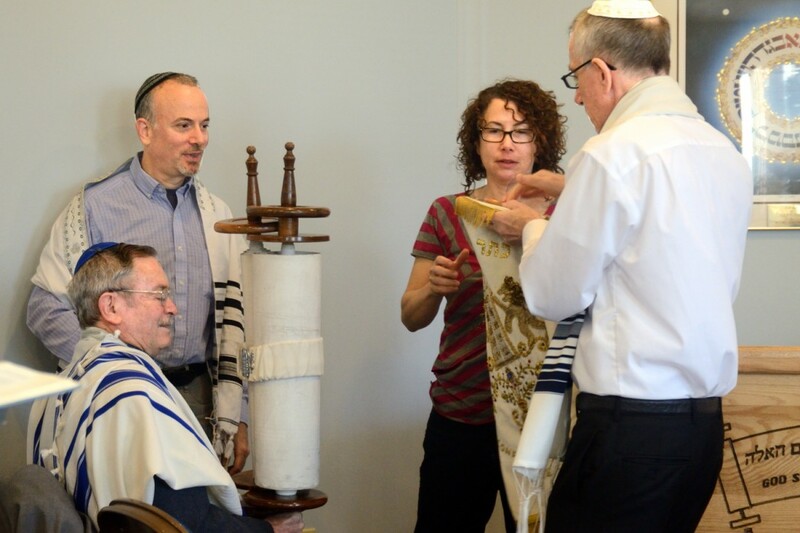 All of our services are open to members and non-members and we are proud to provide a place where any Jew in Lancaster can be assured of a minyan open request to say Kaddish. Please join us and help keep one of the three sustaining pillars of world as strong as possible.